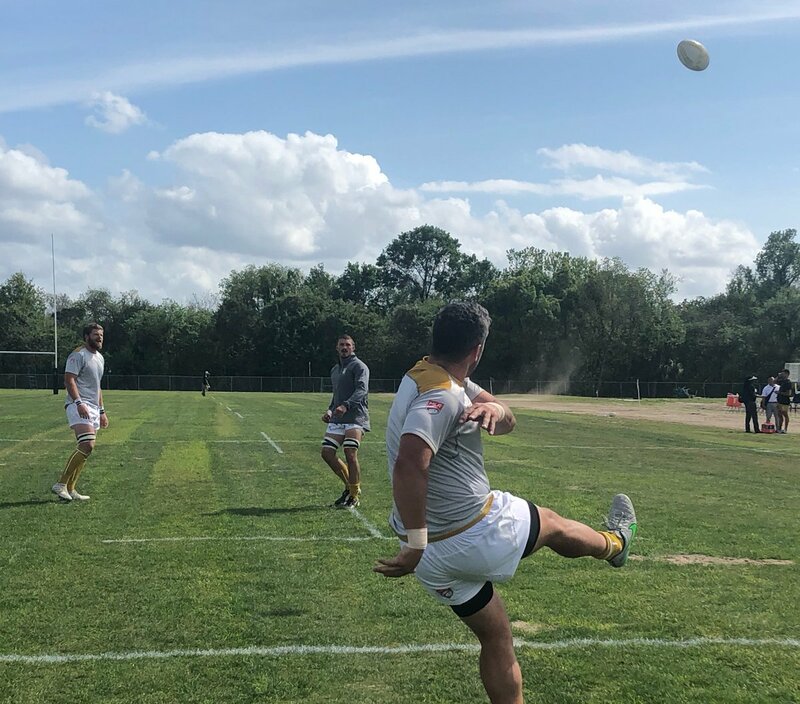 The Houston SaberCats and NOLA Gold have become very familiar with each other this pre-season having already played once. That familiarity played out in the form of a 32-32 draw on Saturday. To give context the SaberCats won the previous match 30-12 but at that point the Gold only had one match under their belt while the SaberCats had a half a dozen and if you include their scrimmages against Texas teams a dozen matches at the point. This match was also in New Orleans giving the Gold an advantage. At the end of the day the Gold have to be happy with the progress they've seen. A penalty pushed the SaberCats on to the board first which was followed up by a Pago Haini try. Malacchi Esdale then added to the lead as the SaberCats looked to be in charge at 15-0. That's when NOLA made a comeback with a 13-0 run of their own to make it 15-13 at halftime. IN the second half it continued to be close. NOLA scored first and then Houston equalized. Tries from Josh Vici and Connor Mills put the SaberCats up 32-20. Still, credit to the Gold as they came back and tied the match with a dozen minuted to go. Houston had a couple of chances to win with a couple of penalties but they weren't on target leading to the draw.